My memoir Leaving the Shallows: Stories From a Life Lived Deeply, is available online at Amazon, Barnes and Noble, and iBooks. The first place that listed the print version was a bookstore in England...England, y'all! The birthplace of Shakespeare and Donne and Rowling (JK that is). Auspicious? I hope so...not for this one necessarily, but for the novel that I will hopefully have out in 2015! 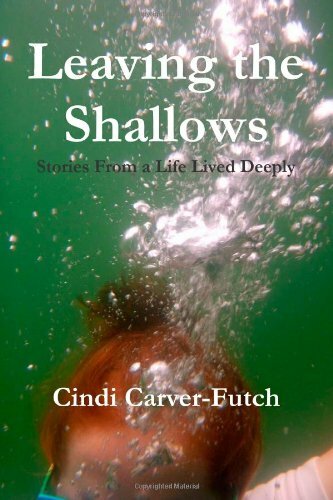 Leaving The Shallows is an easy read, 30 short stories about a life filled with love, challenges, humor and grace. The topics range from raising a late-life daughter and my own food, to finding my soul mate and my voice as a writer. I hope you'll check it out...and leave me a review! Cindi, good to see you at the SCWA conference in Columbia. I was checking out your book on Amazon, and it lists for $91.99. Can that possibly be correct?